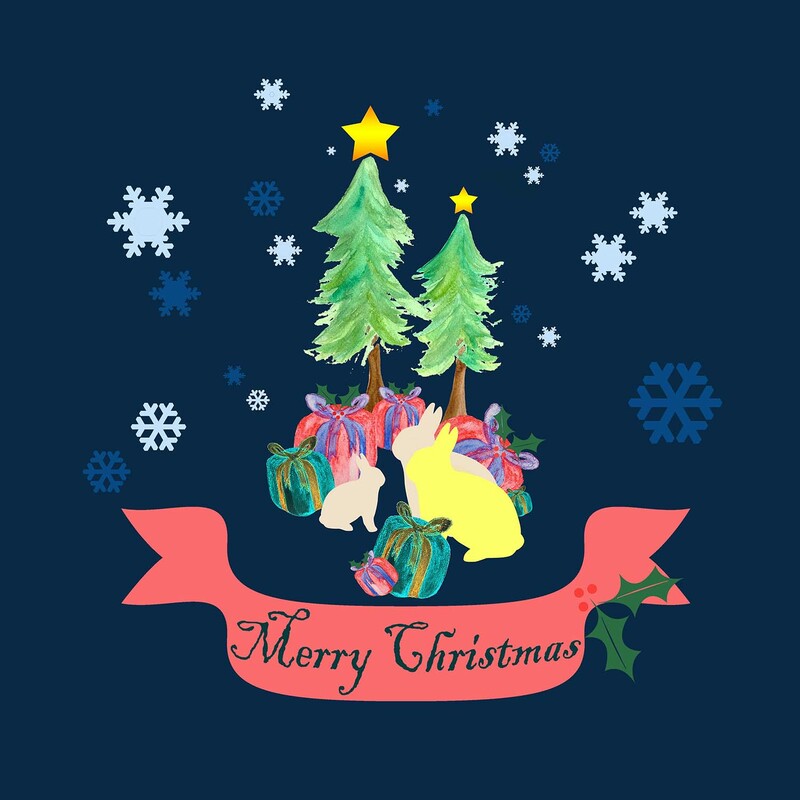 So this year I sent my first batch of Christmas E-CARDS. Christmas e-cards are a ‘thing’. You might remember I wrote about my research into the current e-card options earlier in the year - whether to go paper or paperless - but I had never actually sent any. Then a few weeks before Christmas my husband revealed he’d booked us a trip to the Christmas markets in Berlin as a treat. Yay! It was in that moment that I realised I would never be able to get everything done, and that in fact, something had to give. The cards. Full disclosure - I had some ‘credit’ at Paperless Post due to having featured many of their cards in my earlier post, so with an account all set up and ready to go, it was the easiest option. And it was actually really easy. You don’t need instructions because once you click on a card, the options just present themselves and you progress through them choosing things like the colour of the envelope and liner, the font and size of your message, and whether you want a background or not. You even get to change the stamp to show postage in your home country - impressive - though I didn’t do it myself (because, time). 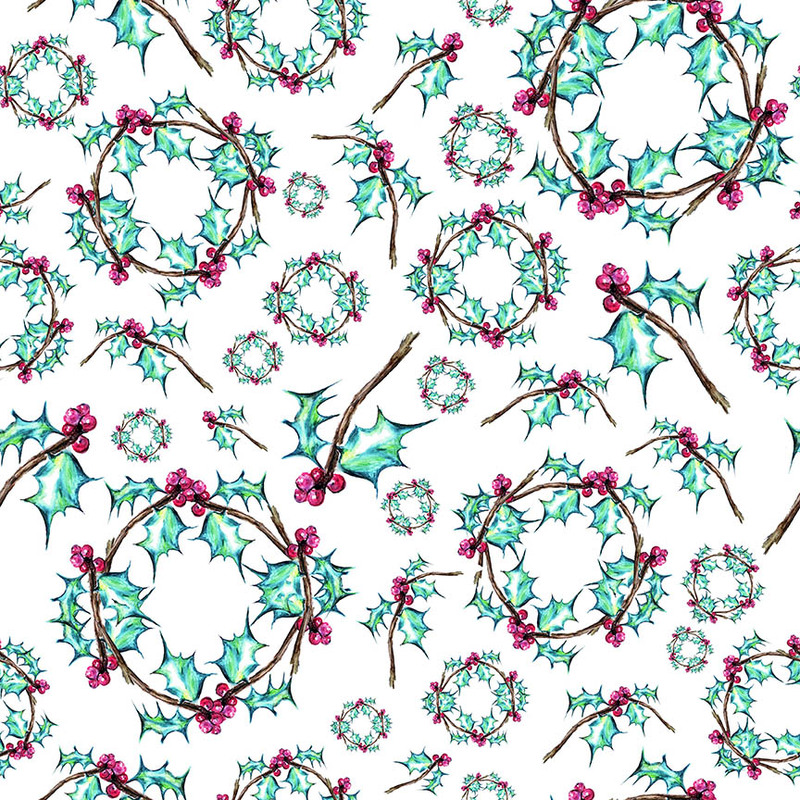 I chose this lovely ‘Christmas Square’ scene of skaters in the snow, with a backdrop of foliage and berries. What do you think? I’m always drawn to this kind of vintage-nostalgic image. You have the option of sending yourself a ‘test’ version of your design to see how it all looks and to make sure you’re happy with it. I found the process so quick I wanted to make sure I had actually created a personalised card, but I had. Simple. Then came the hard part: who did I want to send it to and did I have their email addresses? You can upload email addresses in bulk in various different formats which would be handy for next time or for those more organised than me. I did it line by line and sent 10 cards initially to test out the process. What I found particularly heartening is a ‘reply’ function that appears automatically, so the recipient can send you a message back. You never normally hear back from sending someone a card (especially to friends and family you hardly see or speak to IRL), so this added an unexpected interactive element to the whole thing which was a pleasant surprise. Who said e-cards are impersonal? in summary, I would say e-cards are set to become increasingly popular as people lead busier lives and live a more global/nomadic lifestyle. I did feel a nice warm glow from having done something, rather than giving in and doing nothing due to lack of time and missed posting dates; I connected with family members in Dubai and Cape Town, as well as friends down the road. I will definitely do this again. One friend even messaged to say she loved the eco-credentials of my e-card - another fab bonus. Just remember: you’re still only as good as your (email) address book. So although I saw another friend post on social media that her collection of Christmas cards makes Christmas special - the reliving of special memories while she is writing to a particular person, as well as the joy of receiving cards back, sometimes a trip to Berlin beckons. Maybe I could put this on an e-card? PS. In the last few years I’ve noticed ‘New Year’ cards becoming a ‘thing’. I’ve only ever sent one to my Mum, because, well because she’s my Mum and I saw the most beautiful card one year that I knew she would love (she did). But it’s not something I want to start with everyone - double the December workload and all that, but I just checked, and there is a whole section for New Year cards. It’s not too late! Back in October I had a whirlwind weekend in London, and my first port of call was the Christmas Shop in situ on the 4th floor of Liberty. The Christmas Shop is a destination in itself, but I also got quite distracted by the interiors floor and all the wild and wonderful creatures on display. I realised right then, I would happily live in the shop. It was all laid out for me like a dream, and due to it being only an hour before closing (one precious hour), it was remarkably quiet to the point I felt like I almost had this wonderland to myself. There were lots of ‘London’ themed baubles, as you might expect. Corgis, black cabs, the Queen’s Guard, scenes featuring Liberty itself. I like them but they’re a bit touristy for my taste. I prefer the ice skates and the robins and the more trad Christmas symbols. This cross-stitch stocking deserves a mention because it’s so intricate and gorgeous. I know I would never have the patience (or skills) to complete a project such as this, but I stood to admire it and considered buying the pack for my aunt who adores cross-stitching. These are the gifts that become a tradition, or rather the Christmas decorations that become heirlooms, unveiled year after year. If someone made me this stocking, it’d definitely be a keeper! And now for the NUTCRACKERS! It definitely felt it was a ‘Nutcracker Christmas’ this year, with more cards and wrapping paper devoted to this dapper dude than ever before. I really, really wanted one of the musical box versions, but he was rather heavy and we only had carry-on luggage. Next year perhaps. The stockings were lovely though of course I had designs unravelling in my head for my own stockings. Unfortunately I ran out of time this year which was especially disappointing as I’d wanted to make a special stocking for baby Jack. Another to-do for next year’s festive list. 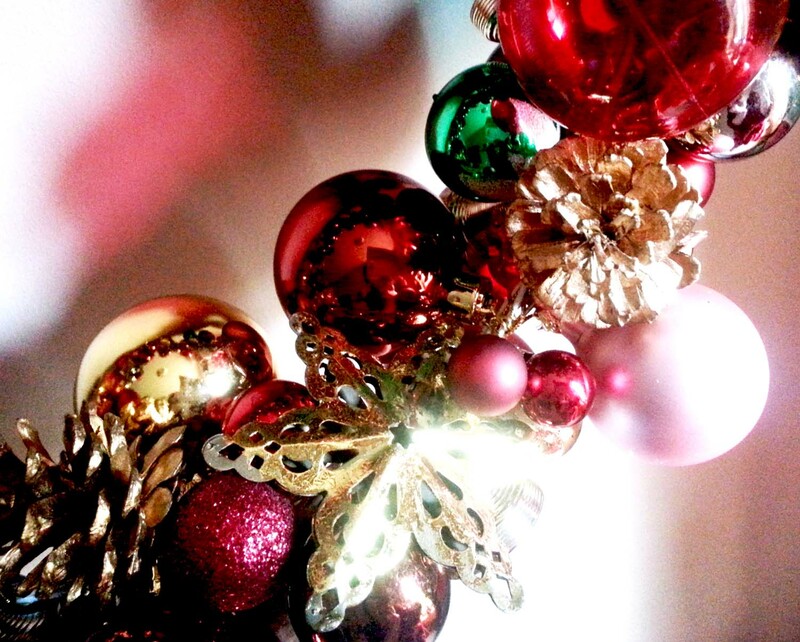 Then came the more exotic baubles. The fruits and festive jumpers (never seen any like that before), the vodka and rum bottles and the inevitable Day of the Dead skulls. I like them well enough at Halloween but I’m not sold on these for Christmas. Am I getting old and boring? Probably! One thing I do know - Gisela Graham really has Christmas sewn up doesn’t she? I mean, is there anywhere or anything that she has not conquered for Christmas? I think my overall favourite was this gorgeous peacock, perfectly poised and perched amidst the boxed delights. I love the deep turquoise with the gold and green. There is even a fairy + a brace of pheasants to coordinate too! Overall it was the best Friday night I’ve had in ages, wandering the rows of glittery offerings, the baubles in baskets and bowls, the twinkling lights and the life-sized deer/stag. A very special place indeed. December has been a busy month, and I can't believe I've not posted anything here since the 1st, but I'm not going to beat myself up about it. The last few weeks have been a whirlwind of Christmas preparation: meeting friends, writing and sending cards, wrapping presents and thinking about the festive feast that is almost upon is. 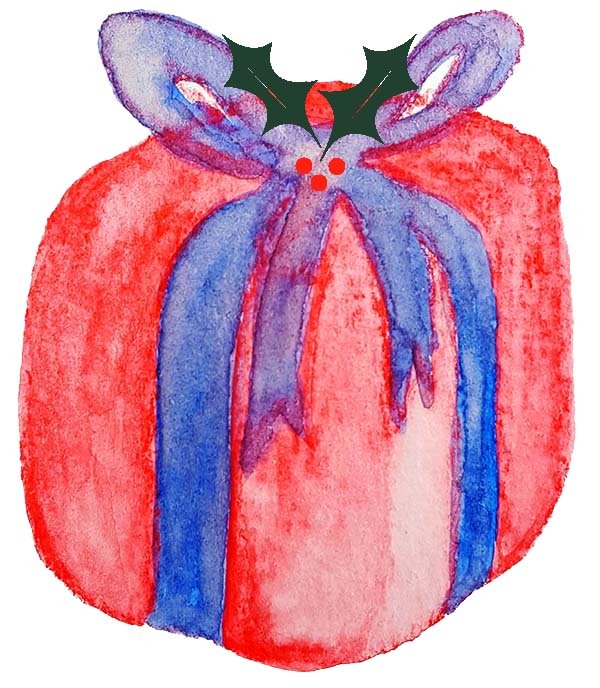 It's also the Season of Gifts in the Get Messy art journal group that I'm part of; the idea being to give yourself the 'gift of time' to invest in and on creativity at this busy and often stressful time of year. I've managed a few pages but nothing more. So now the time is finally here to relax and nurture the self, and I'm going to commit to it wholly. It doesn't feel selfish, it feels well-deserved. I'm giving myself the gift of time to create, draw, write, stitch, stick, glitter and gesso. There's a Christmas jigsaw waiting for me too; a Christmas tradition I always love between me and my Mum. I read a quote a few weeks ago that really spoke to me: PRESENCE not PRESENTS. I think that sums up how I feel about 'the silly season'. There is no better gift than the finite resource of time. What's your gift to yourself? Make time. Make it special. For me, snow at Christmas makes the occasion that much more magical. 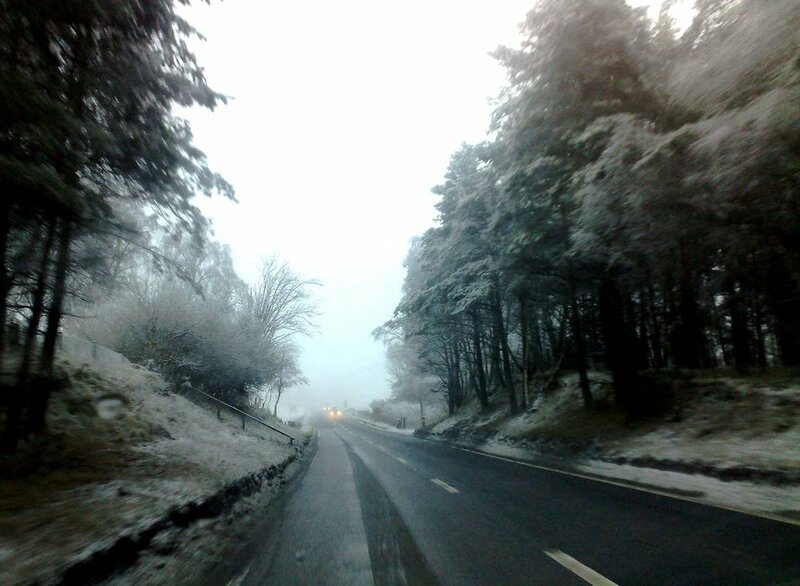 It becomes Narnia-esque and fragile and bright and fairytale, like being inside a snow-globe for a day. I'm not sure if it's going to happen this year, and for those in the Southern Hemisphere, I think snow on Christmas Day would be a definite sign that the world's weather systems were in complete revolt! But in Scotland, there is always a good chance that a flurry of snow will come to bless Christmas. Follow Rebecca Johnstone (Dainty Dora)'s board Winter-land on Pinterest. And just in case it doesn't snow in time for Christmas Day, I've created a Gallery of Snow from the ghost of Christmas (and winters') past. I haven't drawn in years, but I loved art at school. A few months ago I bought some watercolour pencils in the sale. And today I finally got them out. 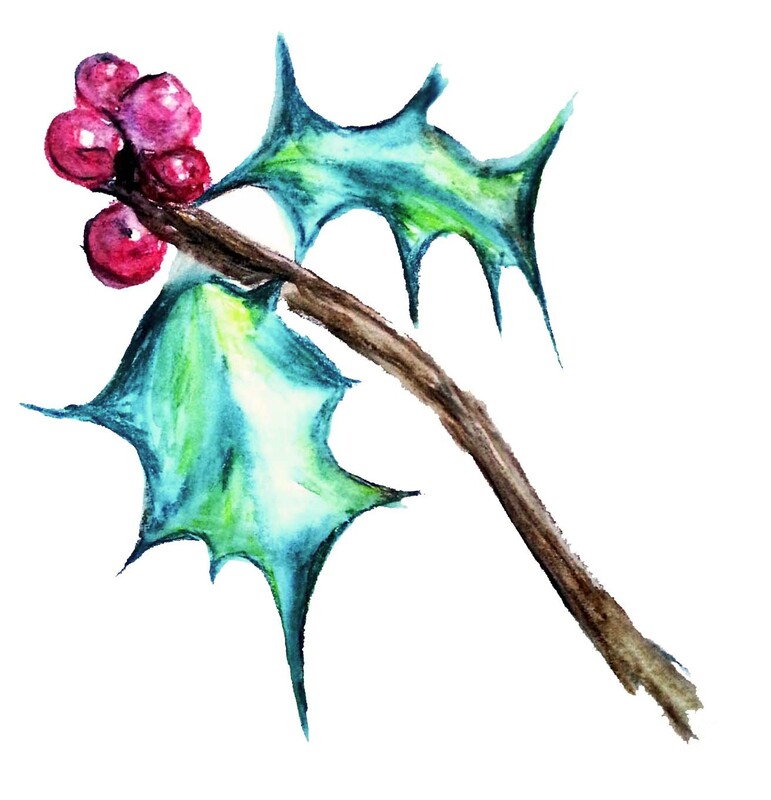 I was inspired by the holly leaves on so many Christmas cards and on tins and wrapping paper, so I quickly sketched out this holly leaf and it's lovely bright red berries. I'd wanted to sketch the autumn leaves and twigs and toadstools, but time just seemed to slip away. Today I had 23 minutes left before the washing machine finished its cycle, and so I just thought I'd have a go. And that's how long it took. It's not perfect and I'm out of practice, but I intend to do more. Nothing is ever wasted when it comes to creative work! 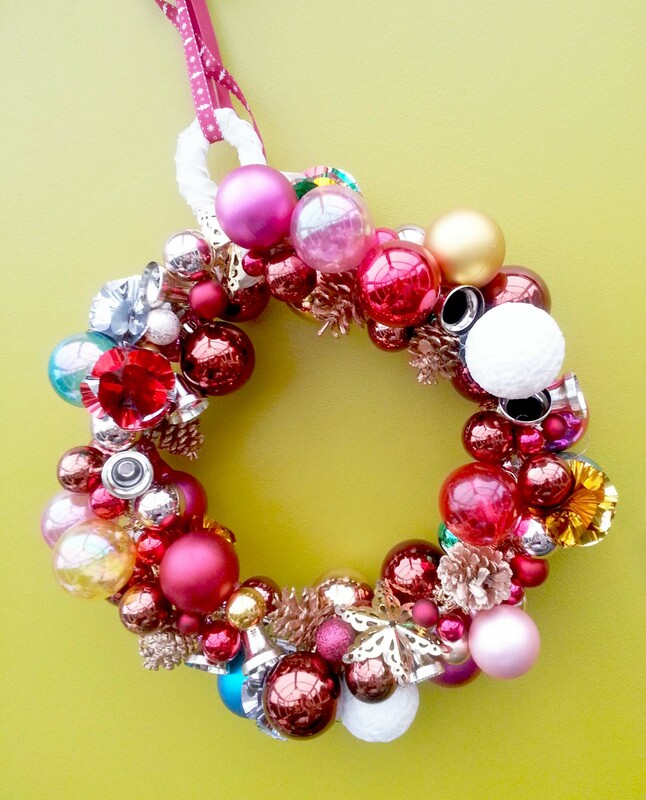 I am so excited to share this bauble wreath, because it was so quick and easy to make, and cost next to nothing. Inspired by an image I originally saw in Pretty Nostalgic magazine last year (Issue 10, page 19, a feature on Kate and Adam from My Vintage Life), I thought: I could do that. I didn't look up any tips online or instructional videos on YouTube, but just grabbed a few thin wire hangers (the kind you get back from the dry cleaners), and started moulding them into a circle. I kept one hanger with the hook still on, and cut the surplus hooks off with pliers. Then with gold wire that I had in my craft box (you could use thin ribbon instead, or wool), I started tying baubles onto the wire frame at random, building up the layers. It looked a bit rubbish at first. Forlorn and home-made and amateur-hour, but these things require a bit of creative thinking and vision. I got lost in the flow of winding and creating and imagining. (This is a great activity to do while watching a fav Christmas film). My stock of Christmas decorations had been slowly increasing to the point where I was going to give away the surplus baubles that had no real provenance or sentimental significance. 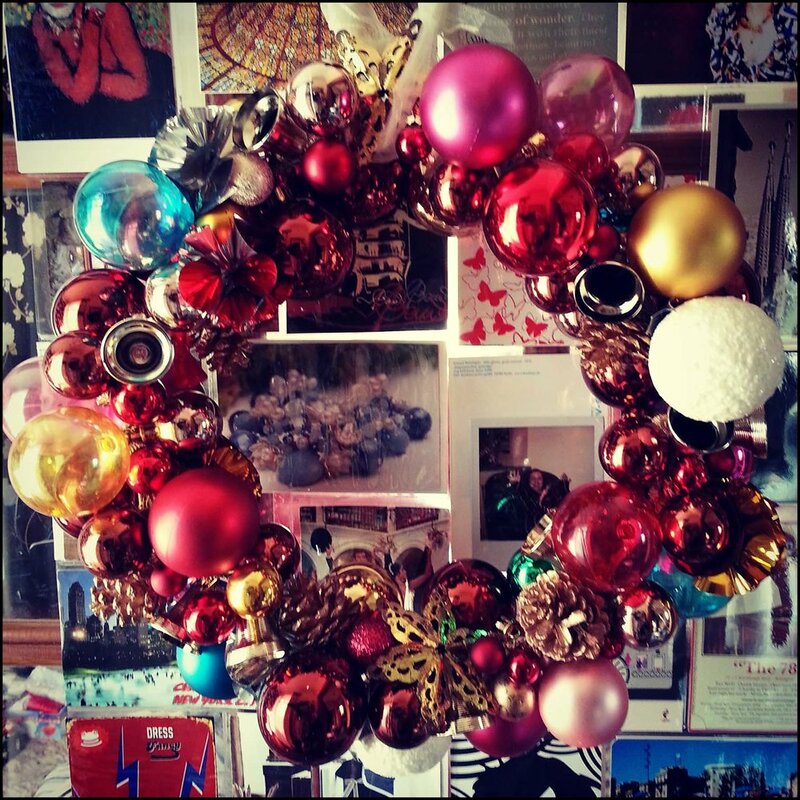 I am so proud of how my Christmas bauble wreath looks. And the best thing is, I made it from things I already had, creatively, so it cost nothing extra. I want to highlight the white glittery snowballs. These have been in my family since the 80's, and I remember them from my very first Christmases as a child. They have little bells on the bottom and holly on the top, and are a bit naff now, but I love that I have preserved them in a new heirloom Christmas decoration. If I hadn't upcycled them into this wreath, I think I'd have ended up getting rid of them, which would have been such a shame. 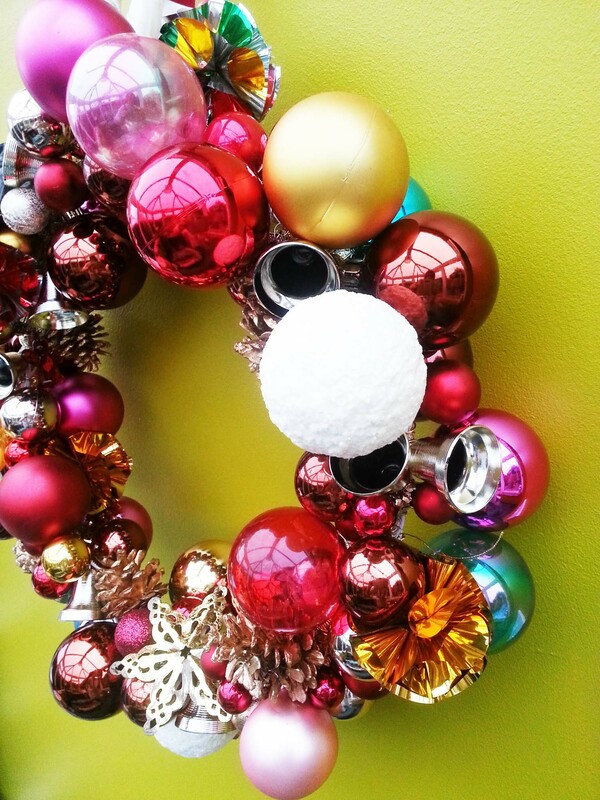 They're much easier to pack away in wreath form too! It was fun to make; deciding on which colours to group together, choosing different sizes and throwing in the odd gold star or acorn or little bell. 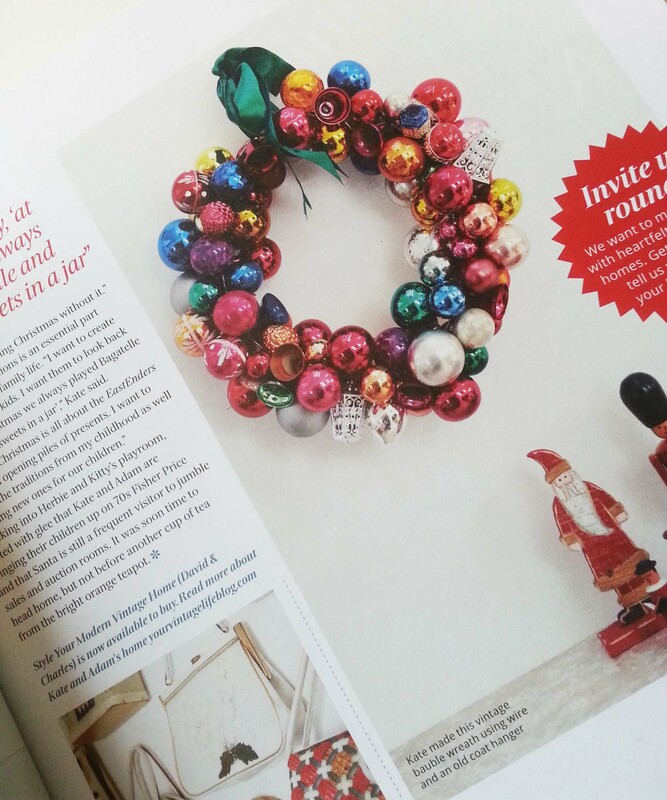 I made this Christmas Wreath Bauble last year, and posted this story on the blog I had at the time. 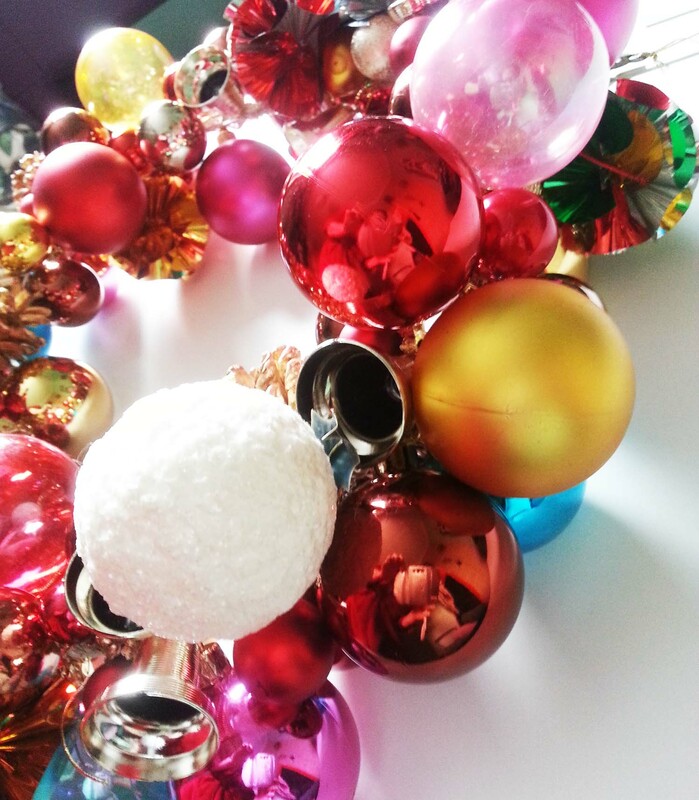 Unpacking it again for Christmas 2014 was a real delight as I remembered the creative process of choosing the baubles, and the uncertainty of whether it was going to work out or not. It felt so special and festive that I wanted to share it again here to inspire others. Give it a go. I'd love to see the results! This video from Herstellung eines Spanbaumes shows the most beautiful and intricate Christmas tree I've ever seen, lovingly carved from just a tiny piece of wood. This is magical. Not what I expected at all. Relax and enjoy this wonder. 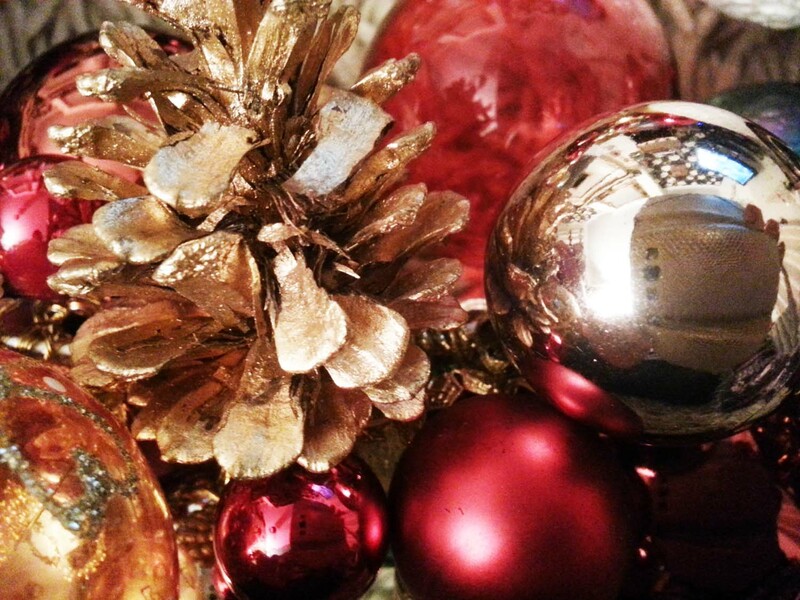 On Monday I wrote an article on my writing blog about 'heirloom Christmas baubles', and the types of decorations that are special to me. The comments I got mentioned handmade Christmas decorations, which of course make the most personal and special. 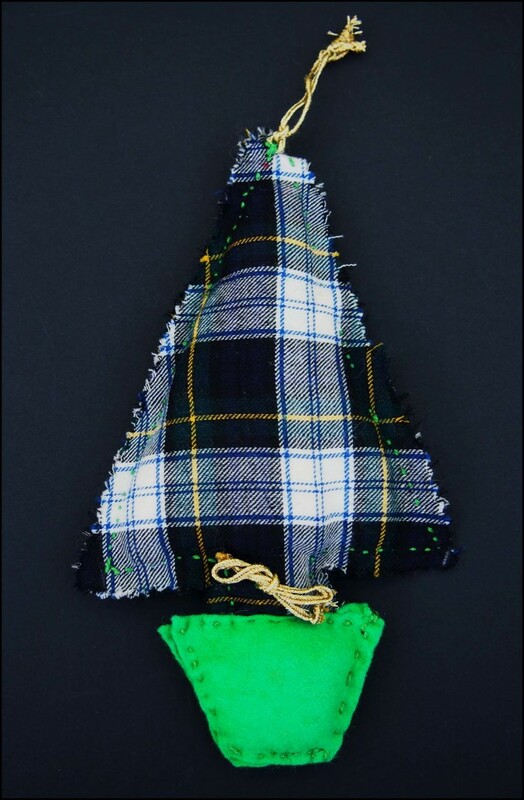 Amongst my own decorations I found this slightly battered Christmas tree, crafted in tartan and felt, that I made for my Mum when I was at primary school. I remember queuing up to get the teacher to thread the needle for me when I couldn't, and I remember the weeks of sewing class it took to finish this homemade masterpiece. I remember it all so vividly, yet I was only about 6 or 7 years old. The stitches are uneven and highly visible, and it could do with a bit more stuffing, but it was handmade with love and my Mum treasured it for all these years, until it has worked its way back to me. Let's celebrate the wabi-sabi of visible stitches and be inspired to choose handmade over mass-produced. Those stitches may be wonky, but they've lasted over 25 years! What you making for Christmas? What similar 'masterpieces' are brought out each year and celebrated for their very imperfections?